With a long tradition in almond knowledge ! Welcome to the company "MORAITI BROS S.A." was established in 1975 as a private enterprise by Konstantinos Moraitis who was already engaged in the cultivation of almonds with his two young sons. The company is originally based in Dimini, Volos, in private premises and deals with the breaking and marketing of nuts, especially almonds and hazelnuts. Read and see the full range of quality products that we can offer. 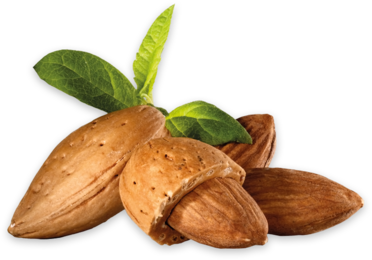 We offer natural almonds in different sizes, varieties and grade. Learn about our long-term experience, our state-of-the-art equipment and our premises. We provide a wide range of husked almonds for every use. See a video that will present to you our high-standards production line as well as our machinery. We also offer quality almond bits and slices which are ideal for pastry and cakes. We give you the possibility to navigate virtually around the central area of ​​our facility. We provide husked almonds as a fine powder (almond flour) for any use in baking and cooking.